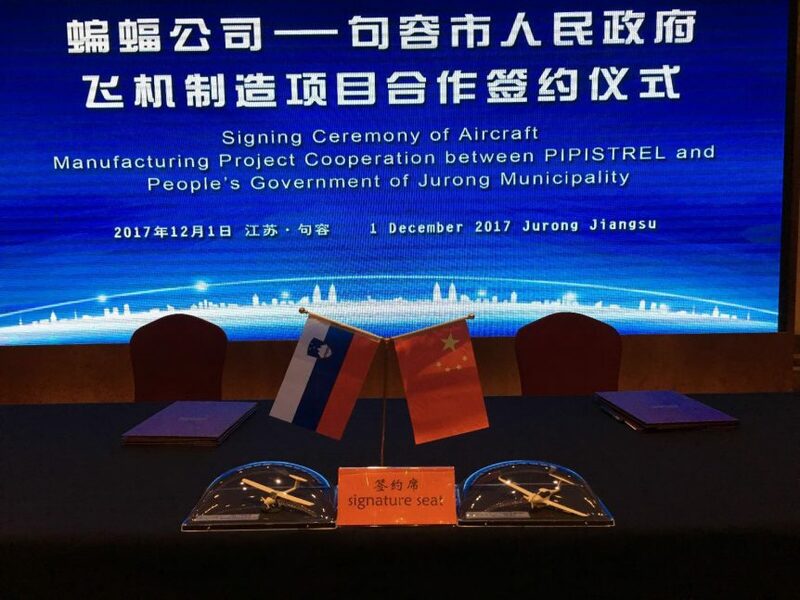 Taja Boscarol, Public Relations Manager for Slovenian aircraft company Pipistrel, announced the formal establishment of the fourth company of the Pipistrel Group at the Chamber of Commerce in Jurong City (Jiansu Province), China. 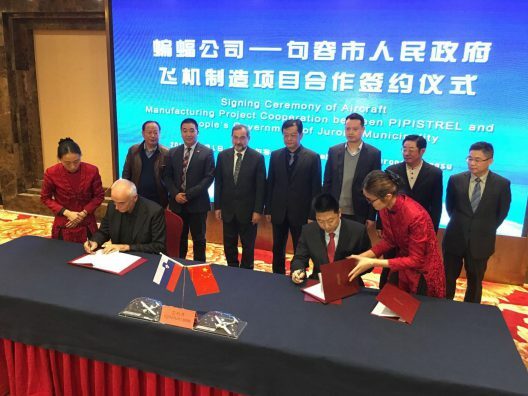 The new company, PIPISTREL ASIA-PACIFIC, General Aviation Technology Co. Ltd. was founded by Ivo Boscarol (51-percent owner) and Danny Wu Hao (49-percent). Hao, as financial partner, will provide the capital investment required for the construction of Project Jurong. The ownership of both Slovene companies, Pipistrel d.o.o. and Pipistrel Vertical Solutions (a new development under control of Tine Tomazic) remains 100-percent Slovenian as before. 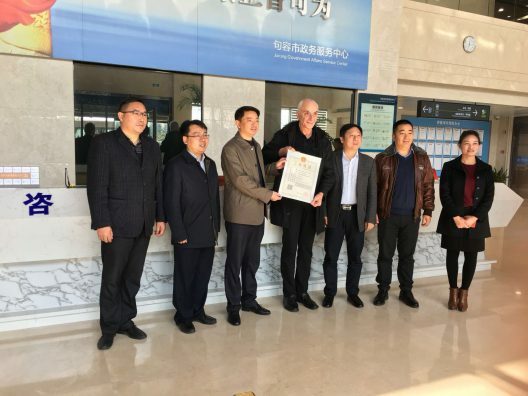 As Ms. Boscarol’s press release relates, “From now on, the PIPISTREL ASIA-PACIFIC, General Aviation Technology Co. Ltd company is the general distributor of Pipistrel for China. The Jurong site will produce both the Alpha Electro trainer and the Panthera Hybrid. Pipistrel d.o.o. 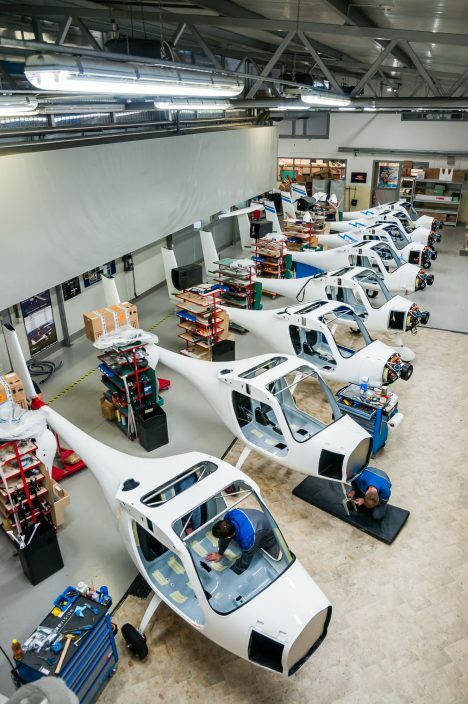 will sell the technology and rights for production and sales for the two aircraft models to Pipistrel Asia-Pacific for distribution in 11 countries. In the next two years, a new airport, aircraft factory, villas compound and an aviation university will be built in the Project Jurong Center, with its affiliated companies coming into play in the next few months. The Pipistrel Asia Pacific group will be responsible for acquiring land, and constructing and managing of a 130-hectare (321 acre) airport complex, including infrastructure, tourist accommodations, and all supporting activities. The complex, located next to a highway connecting it to Jurong City (10 minutes away by car) and the international airport in Nanjing (30-minute drive), is within easy reach of worldwide connections. In 2019, a direct airline connection to Maribor Airport in Slovenia will be available. A nearby high-speed railway allows trips to Beijing in three hours. This major step in international cooperation and the opening of a new market bodes well for the future of electric flight. This major step in international cooperation and the opening of a new market bodes well for the future of electric flight. I am proud of my China country.